I was thinking about this idea a few months back when I was making HarbingerDawn's ring challenge videos. What I'd like to do is make a video where the community picks out spots for me to record kind of like this. But not just for rings, for everything. All you need to do is submit to me the location whether it be a view of a galaxy or a night sky filled aurora. It would be easier if everyone just submitted one or two locations so that everyone could get equal time. 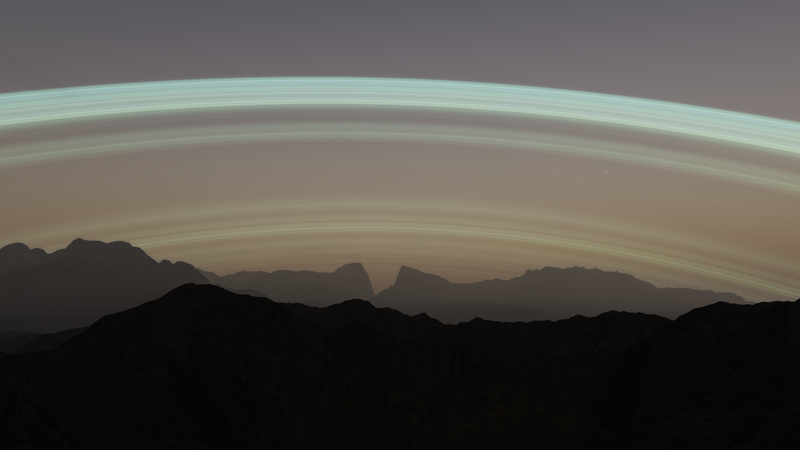 I'm also fine with going back to previous versions of Space Engine all the way back to 0.95 to get some footage. Make sure you say to go back though otherwise I might not be able to find your location. In the video you will have your forum name in the bottom right. 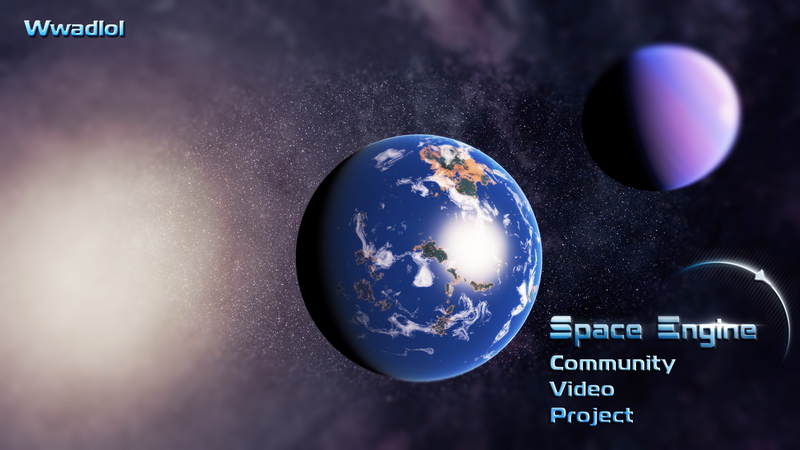 I'll also add a credits scene in the end as well to give everyone all the credit they deserve. I'm guessing the video will be 6-9 minutes, also if you would like to provide me some ideas for the music that will also be greatly appreciated. I hope everybody participates and has fun while they search for awesome views! Make sure to give me the exact coordinates, if you want to you can specify the camera movements you want me to make if not I'll just do some for you. I think this is a really great idea! Would submit a few locations myself, if my SE-capable computer wasn't in long term storage. Those are very nice Wwadlol. Planet with a neat color scheme and lots of strange flowing patterns on the surface. Gas giant with 5 different moons with life, 4 of them which orbit close and 3 of which have rings. I don't have any specific location for each of these. Should I make some? If you would like for me to record at a specified location, then please do. If not I can find a location. Place	"Desert with comet view"
Place	"Moon Cold desert with life"
I deleted your post and banned your other account. You are only permitted to have one.